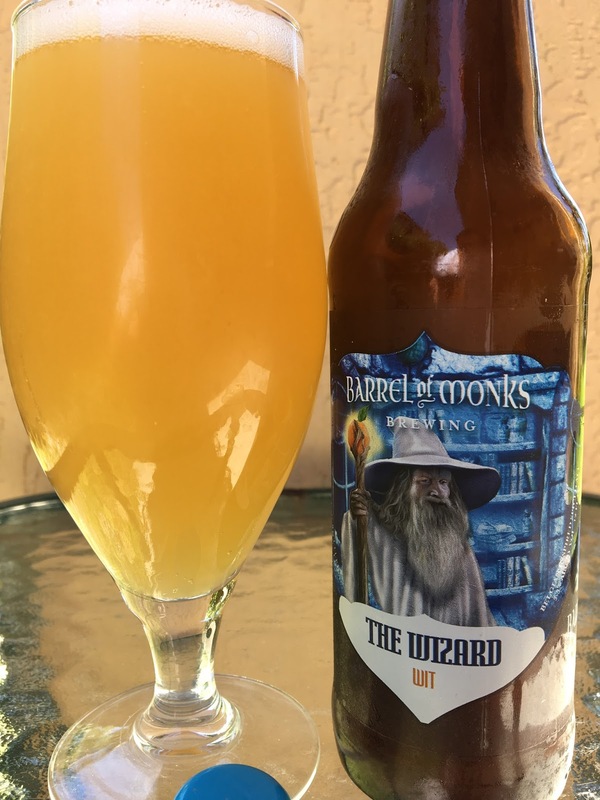 Barrel of Monks recently sent The Wizard Wit into local South Florida distribution. I got a taste of this a few months ago in their tasting room but decided to grab a botttle. 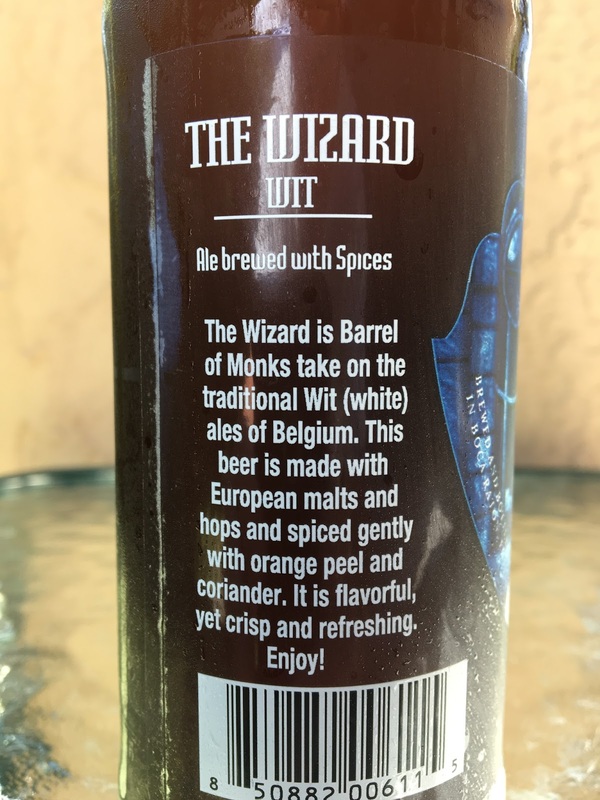 Creepy wizard on the label. Check! A little story to set your expectations. Bottled On 04 26 2017. 5.5% alcohol. Very cloudy. Coriander and light spicy aroma, not big. Nice wheaty tang and twang come first. Plenty of coriander, subtle orange, citrus and fruity. Good flavors. Check it out!